World political and religious leaders united in condemnation of the New Zealand attack in which a gunman shot dead 49 people and injured more than 40 in an attack on two mosques during Friday prayers. Prime Minister of New Zealand Jacinda Ardern condemned the attacks, which the gunman filmed live on Facebook, as terrorism as social media companies moved to remove as much of the footage as possible from their platforms. Three people have been arrested and detained. One man in his 20s has been charged with murder. Pope Francis expressed his solidarity with New Zealanders and Muslims. In a telegram, Secretary of State Cardinal Pietro Parolin said on behalf of Pope Francis: "His Holiness Pope Francis was deeply saddened to learn of the injury and loss of life caused by the senseless acts of violence at two Mosques in Christchurch, and he assures all New Zealanders, and in particular the Muslim community, of his heartfelt solidarity in the wake of these attacks. "Mindful of the efforts of the security and emergency personnel in this difficult situation, His Holiness prays for the healing of the injured, the consolation of those who grieve the loss of their loved ones, and for all affected by this tragedy. Commending those who have died to the loving mercy of Almighty God, Pope Francis invokes the divine blessings of comfort and strength upon the nation." The Catholic bishops of New Zealand issued a message of solidarity with Muslims. 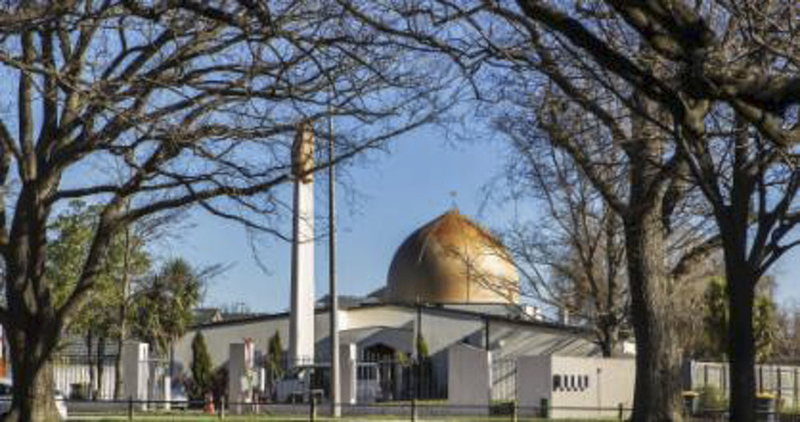 The Archbishop of Westminster Cardinal Vincent Nichols said: "I offer my sincere condolences and deepest sympathy following the terror attacks on the two mosques in ChristChurch which have shocked the world and all who hold that respect for human life is an essential foundation for every society. "May God grant strength and enduring faith to all who are bereaved, injured and traumatised. May he welcome into his merciful presence all those who have died. May he turn the hearts of all who commit evil to a true understanding of his desire and intention for humanity." The Prince of Wales sent a message to the people of New Zealand. "Our thoughts and prayers are with the victims’ families, the first responders, the people of Christchurch and all New Zealanders at this most heartbreaking of times." King of Jordan Abdullah bin AlHussein tweeted: "The heinous massacre against Muslims praying in peace in New Zealand is an appalling terrorist crime. It unites us against extremism, hatred and terrorism, which knows no religion. May the victims’ souls rest in peace. Our condolences to the families and our Islamic Ummah." Archbishop of Dublin Diarmuid Martin expressed shock and asked that prayers be said at all Masses in the Archdiocese on Sunday, Feast of Saint Patrick, in remembrance of those who died and were injured. The Archbishop also expressed concern about "anti-Islamic sentiments being expressed in social media in Ireland and even in publications purporting to be of Catholic inspiration", his diocese said in a statement. A short service of silence and reflection will be held in Dublin’s Pro-Cathedral before the 11.00 Solemn Mass for the Feast of Saint Patrick to remember the victims and to renew the rejection of all forms of religious and racial intolerance by Christian believers. 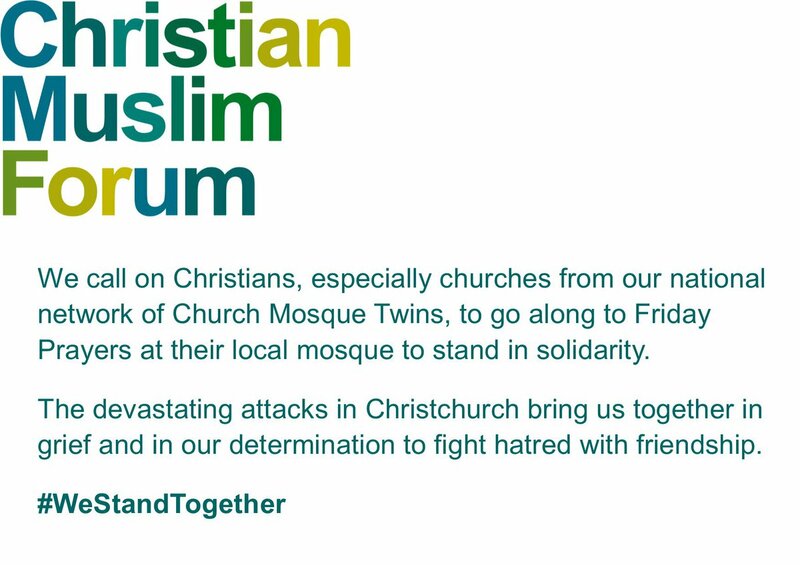 The Christian Muslim Forum called on Christians to go to Friday prayers at their local mosque to stand with Muslims. The call was backed by the Archbishop of Canterbury Justin Welby, who tweeted: "As Christians we are called to be good neighbours. Let's get behind this simple act of kindness and reject hatred of Muslims." Elizabeth Harris-Sawczenko Director, director of the Council of Christians and Jews, said: "It is difficult to even contemplate the immeasurable suffering of the families, friends and Muslim communities in New Zealand and elsewhere and how incredibly vulnerable this also leaves the Muslim community in the UK with ever increasing levels of Islamophobia. As Christians and Jews we stand in solidarity with the Muslim community today and always. Hatred of the other is eating away at what is most beautiful and should be most treasured in our society – namely our diversity. At CCJ we celebrate our difference and are enriched by knowing and living among others from different communities. This is a precious gift and we have to ensure we protect it. This means reaching out with radical love to those hurting and marginalised more than ever."